Jane Roberts was the most well-known American medium in the 1970’s and author of many books, dictated her by the energy personality essence Seth, while she was in trance. The books will touch upon many arguments today defined as quantum physics and their content is widely known as the “Seth- Material”. The core teachings of the Seth Material are based on the principle that consciousness creates matter, and that each individual creates his or her own reality through thoughts, beliefs and expectations, and that the “point of power” through which the individual can effect change is in the present moment. The Seth Material discusses a wide range of metaphysical concepts, including the nature of God (referred to as “All That Is” and “The Multidimensional God”); the nature of physical reality; the origins of the universe; the nature of the self and the “higher self”, the story of Christ; the evolution of the soul and all aspects of death and rebirth, including reincarnation and karma, past lives, after-death experiences, “guardian spirits”, and ascension to planes of “higher consciousness”; the purpose of life and the nature of good and evil; the purpose of suffering; multidimensional reality,parallel lives and transpersonal realms. Before Seth’a appearance, Jane was a passionate writer. She published poetries, short stories, children’s literature, non-fiction, science fiction (mainly linked to psychic abilities), fantasy and novels. She was the only woman invited to the first science-fiction writer’s conference in 1956 in Milford, PA.
Seth came into Jane’s life slowly. On September 9th, 1963 she had been working at her desk when she suddenly felt a bunch of words which just came into her mind. She felt urged to write them down and later realized, that she had come up with 100 pages at material she would have called “The Physical Universe as an Idea Constructum”.“Idea Concstructum” contained the principle ideas which Seth would develop over the years. This text “was the first attempt at contact from Seth”,  but at the moment Jane received it, she was still totally unaware of him or of what would happen in the future. Three months later, on December 9th, 1963, while Rob and Jane were playing around with an Ouijaboard, Jane and her husband Rob had the first contact with the entity who they would learn later called himself “Seth”. 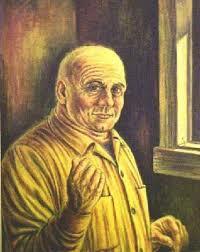 At the beginning, using the letter system of the Ouija board, they received messages from a personality who called himself “Frank Withers”, however at the very end of that session, Seth introduced himself. Over the next weeks, they slowly received more messages from Seth, spelling letter by letter his messages with the help of the Ouija board. But on 2nd January, 1964 Jane started to hear a voice in her head and knew in advance what the Ouija letters were going to say. This day, she started to speak out loudly for Seth. I felt as I was standing shivering on the top of a high diving board, trying to make myself jump while al kinds of people were waiting impatiently behind me. In some crazy fashion, I felt as if they picked up, piles of nouns and verbs in my head until they closed everything else off if I didn’t speak them and without really knowing how or why, I opened up my mouth and let them out. This was the very beginning of the Seth sessions. Jane channelled and Rob took notes. Everything ever said has been taken noted, for 23 years. While Jane continued her own creative work also after Seth had begun taking part of her life, the Seth material, nevertheless, became the most important part of Jane’s life. Speaking for Seth, Jane published a dozen books and many others written by herself. While she was exploring multidimensional aspects of her own, her physical expression became more limited, until she was totally bedridden due to her rheumatoid arthritis, from which she had suffered all her life. Jane continued channeling until the week before her death and Seth’s last messages were dictated in the hospital where she died on September 5th, 1984 at age 55. This article will focus on the turning point in Jane’s life, the night, Seth introduced himself through the Ouija board. he first thing I noticed was the very early AC. It is always risky to work with such an early degree since the person might have been born just a few minutes earlier, which would result in a different rising sign. This is especially a problem for whole sign houses which I actually use. However, the Capricorn AC and its ruler Saturn seem to describe Jane correctly: She had black hair, a pale skin, was small and very thin. Also, her later Arthritis issues made her joints become more rigid every day, seems to affirm this; Saturn describes the bones and joints and is a natural significator of rigidity. On the other hand, she was particularly known for being a hard worker with a fixed schedule of writing hours which she pushed herself through. Her urge to be considered a creative prose and fiction writer rather than limited only to esoteric material, is described by the Sun in the 5th house. For all her life, being “creative” was fundamental to her. Saturn rules her 1st place which describes her life purpose. Since he is located in the 12th place, this purpose is linked to 12th place themes, which in traditional astrology have a very negative reputation, since this place is associated with hidden enemies and hospitals, just to name a couple. It also has to do with that what comes prior to birth  and thus relates, in my eyes, to that reality where we come from before being born and that we return to after our death. In order to understand Jane’s chart fully, we first need to understand better the meaning of the 12th place, as it will turn out to be crucial. The 12th place is linked to all what is hidden and unknown, including those parts of ourselves which we do not normally have access to, such as deep memory. Remember Saturn rejoices in this place and he is linked to long term memories, concentration and a certain kind of knowledge. Since he is the outermost planet, Saturn describes barriers, but in the 12th place they can be overcome, after him, so to say, is the space. We also know that “time” is only a perception which can dramatically vary, depending on what are we doing or what is done to us. The 12th place is linked to meditation and prayers, those moments in which we connect to other realms within ourselves, or those moments in which we create a contact for what we consider God, Guardian Angels, Spiritual guidance or whatsoever. This is why this place is so difficult to access: it is not linked to the material world, as we are used to. Let us stay with this for a moment. The 12th place makes two squares: the first is with the 3rd place. The third place is rational and analytical. It gathers information and puts them together, but this information does need to correspond to a certain codex in order to be understood, such as the order of letters which form the words. The words need to be “recognized” by others (both by alphabet and language), and the events which are presented need to respect a certain timeline. The real fact of writing things down or presenting them orally, excludes many other forms which might not be recognized by our society, for example dream messages, telepathy or astral travel. All these forms of communication belong to the 12th place. They are neither “dangerous or harmful”, as tradition suggests, but unexplored and not officially part of human “abilities”. The output of the third house is linked to our believe system. So people who act out of our believe system (those who see things which do not exist or speak with ghosts or things like that) are considered mentally ill and usually closed into special institutions, all expressions of the 12th place. On the other hand, the perception of other realms and the strong contrast with our “normal” perceptions may cause fear or depression. This is the reason of the square: The third house does not know how to communicate what he/she perceives in the 12th. 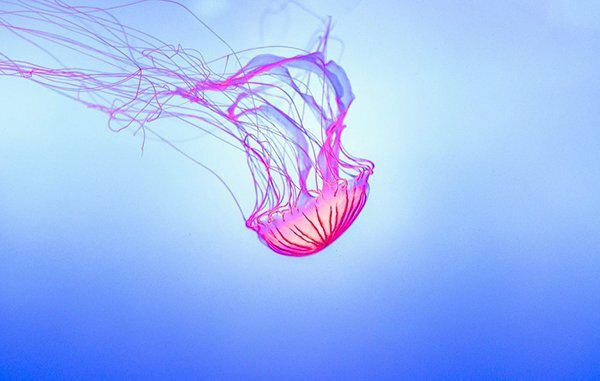 As an example, we can consider the beauty of a jellyfish in the sea. It is incredibly elegant and seems to dance. If you pull that same jellyfish out of the water on the beach, you will just see an unidentifiable mass of a gel-like ugly something. It is unrecognizable. The same is true for the 12th place, trying to translate its content is very difficult. The second square of the 12th place is that to the 9th. The 9th place describes our religion and official faith, as well as their representatives. The 9th precedes the 10th: It is part of our identity within the society. We have to remember, that in many societies exists an “official faith” and that the Sunday visit (of the local church or the equivalent in other religions) is still considered a duty (rather than a free choice) in many places. We are told here what to do and how to practise our cult and describes the sacred scriptures. However, it is not the place of the mystical experience itself, that Catholics describe as communion or Indians know as Moksha. This is why I associate the 12th place with our “unknown reality” or that part within us from which we can access higher realms of consciousness, which normally occurs in meditation or prayer, both associated with the 12th place. Seth’s principal message is, that we create our own reality by our thoughts, intentions and projections. If so, then this creation occurs in the hidden realm of the 12th place, which is the preceding place of the 1st (birth of matter). Jupiter is combust but far more important here is to see, that the Sun is eclipsed and thus invisible. However, in a certain sense, we can say that all of the planets become invisible: the sunlight is switched off and all of the planets fall into darkness. What these planets have to express, is not directly accessible. Saturn, the natural ruler of boundaries is in the 12th place where the separation of body and spirit can be overcome in gaining access to higher spiritual dimensions. Saturn’s dispositor is conjunct the eclipse. This is a kind of double negation: the invisible (L12) becomes invisible. Nevertheless, I propose to look at it from another perspective, too. The Sun is linked to what we consider our “self”, our “ego”, that what means “me”. This “me” is switched off (eclipse) but permits the ruler of the 12th to come very close. What happens during a channeling is, that the “ego” of the channel steps aside and leaves space for the non-physical entity which is going to speak through the medium. Modern mediums such as Lee Carroll refer to, that while the entity speaks through them, they are not “away” but in a kind of stand-bye mode. Furthermore, I mentioned that Jane has the possibility to access other realms of dimension (L1 in 12). But the ruler of these dimensions is Jupiter (L12). So I would identify the non-physical personality channeled by Jane for so many years, with Jupiter. Seth could only “come in” with her permission and when she “stepped aside”. This matches with Jane’s statement that she wasn’t normally aware of what Seth was saying exactly, but only remembered it very vaguely. Her husband Rob painted Seth, following Seth’s instructions. The result is unequivocal for astrologers who deal with physical appearance: The man on the painting is a true Jupitarian. The Solar eclipse is some kind of super new Moon. New Moons usually describe the start of something. In this chart, there is a double signification of a new beginning or pioneering. First the content of the 12th place, as said before, but also the ruler of the eclipse, Venus, describes a pioneer. Venus is in Aries and in her detriment, thus describing that Jane’s success will manifest in a kind of unexplored field and is brought forward with immense effort and in a jungle of difficulties. The ruler of the 10th place, Venus is in the 4th place, so what she manifests in life comes out at home. Indeed, she lived nearly segregated, working effortlessly in the private atmosphere at home, but Venus also opposes her own sign (10th place) which describes some kind of hindrance or obstacle, while she is in aversion to her other sign (5th place). Feeling joy and easiness (place of good fortune) is not easy or else is considered as an obstacle for her life purpose. Indeed, Jane considered everything different from writing as a “waste of time”. Now I would like to draw your attention on three timing techniques which permit to understand the upfolding events from December 8th, 1963. The zodiacal Releasing describes time frames divided in four levels: decades, years, months and days. Annual profections indicates the time lord or cronocrator of the specific year and shows, which planets will be particularly important. 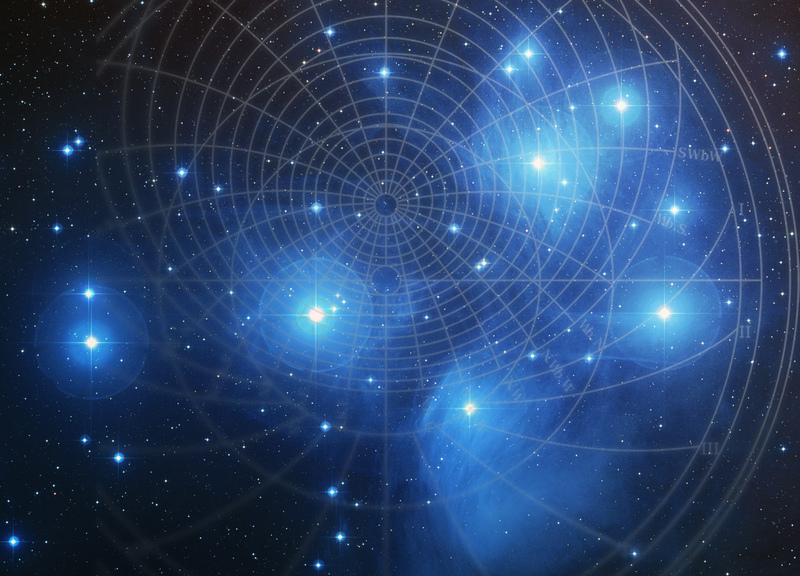 The transits show how these planets will work out and where. There are other timing techniques, especially primary directions, which cannot be mentioned here due to limited space. Since Seth’s appearance in Jane’s life has to do with her career, we have to release from Spirit (Daimon), in order to get a picture of how and when events will unfold. The peak periods (times of major activity) are determined by the position relative to Fortune. Fortune is in Capricorn, thus the cardinal signs represent Jane’s peak periods, of which Capricorn (1st from Fortune) and Libra (10th from Fortune) are major peaks, and show particularly significant periods in her life. The malefic out of sect Mars is also in a cardinal sign, so the activation of cardinal signs will be both challenging and difficult for her. Every time level adds a piece of signification regarding the kind of event which is likely to happen. I call this chain of information. 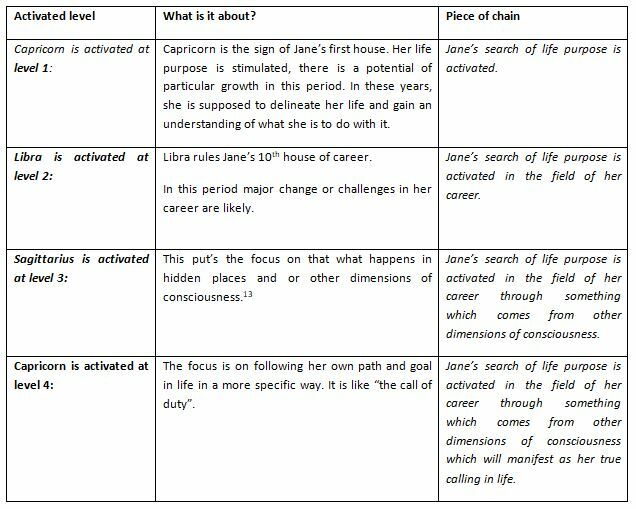 Reading the chain of information gathered from the perspective of zodiacal releasing, we would have expected something crucial for her career and life purpose during the four time levels under examination. Now let’s see which further detail annual profection can add. Jane was 34 years old in 1963, when the sessions started. 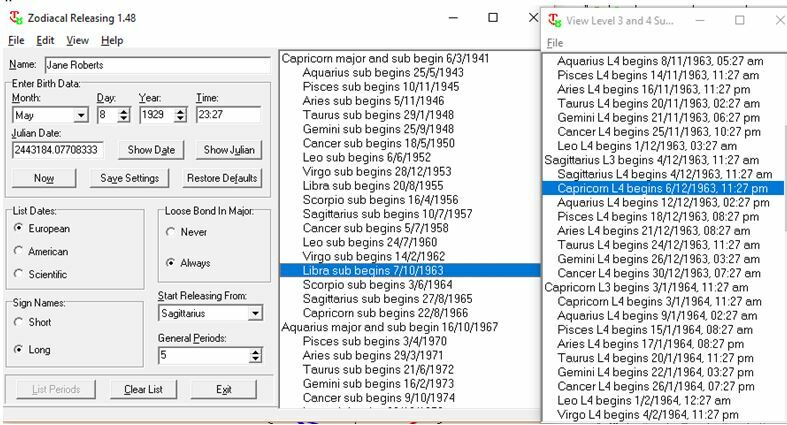 Profecting from the AC, we count 34 signs in zodiacal order, as shown on the right, and find her 11th place in Scorpio activated, thus Mars is the time lord of that year (cronocrator). The 11th place is also called “good Daimon” and highlights things connected with friendships, groups etc. The key word here is connection because on the evening of December 8th, Jane established a connection (what else is channelling?) with somebody (L11 in 7). Please note that the 11th house is opposite the 5th place, the place of the eclipse and Jupiter. 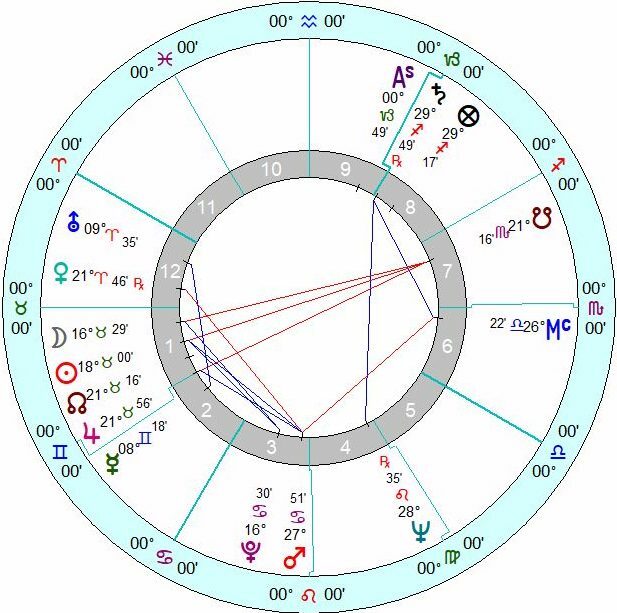 If we look at the profected AC and thus observe the turned chart, we see that the time lord, Mars, is in the 9th place, already very close to her 10th place of career. Interestingly, Mars is in his fall. Since her books were all bestsellers, the planet’s fall does not refer to her career directly (this would be described by her natal 10th place ruler). I do rather believe that the fall indicates her discomfort with her role as a “psychic”, which is not accepted by society’s standards. She struggled all her life against this kind of classification. This position also describes that it will be a hard job for her. Counting 34 in zodiacal order from the place the Moon is in (Taurus), we find that the 3rd place is activated. Its ruler Jupiter is the time lord of this year. The 3rd place, the Goddess, is all about communication. You must always pay attention to both the topics associated with the place that the profection has come to, as well as the topics associated with the place that the lord of the year is located in. Jupiter is in the 5th place very close to the Solar Eclipse. In the previous general chart analysis, I already pointed out the link between Seth and Jupiter, and in 1963, the ruler of both the 12th place (higher dimensions) and the 3rd place (communication) is activated. However, Jupiter is combust, so he will not manifest physically. All the work with Seth was about receiving messages and transforming them into books which was a massive creative output in which Jane’s own self (ego) was put aside, but which never could have happened without her. So the eclipsed Sun was the bridge for the nonphysical entity of Seth to speak out in our physical world where he did not belong. Also note where the bridge is being built: it is in the 5th place, which also describes “games”. The first contact happened to be through a Ouija board, which in the 1960’s was a common game for the spiritual meetings. Now we have to bring all the information together and look at the transits for the day of Seth’s first manifestation. As we have seen, Jupiter and Mars will be very important in this year and show some key events for Jane’s career and life purpose. 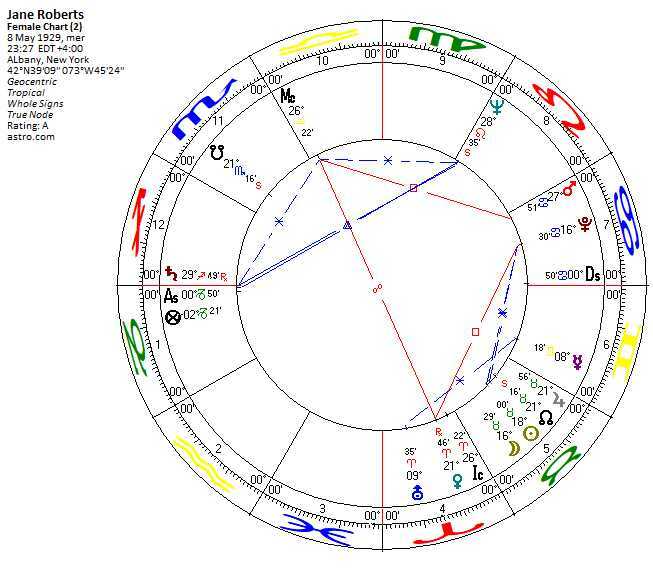 In the transit chart of Seth’s first time, the Sun is literally hidden in the 12th house. While her normal conception of her “me” is stand-bye, the ruler of the 12th, time lord Jupiter takes over, in exact conjunction with Uranus transiting her 4th place where she received Seth at home, while the Moon just entered Jane’s 10th place of career/success. Mars is the other cronocrator of this particular year, and we have to pay particular attention to his transits, too. On the day of the event, Mars was exalted in Jane’s first place, in kollesis (applying conjunction within 3°) with Mercury and Fortune and co present with Venus. He is angular and exalted, which describes him as energizing. The time Lord of the year in the first place sheds light on her life purpose, and reminds Jane, what she is called to do in her life. The very nature of Mars is initiating and pushing forward. Mars in her natal AC describes the fight for her mission. I do think that working with these different timing techniques is quite impressive since they prove to be the hands of a gigantic celestial clock. It’s up to us (re-) discovering its precise mechanism. As a side note, I discovered the Seth material when I was 18. 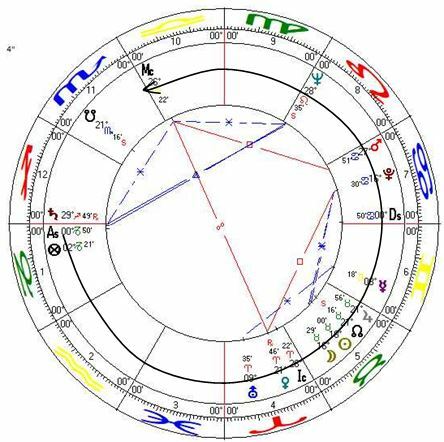 Jupiter of the transit chart, when Seth first manifested, is exactly on the degree of my Moon/Venus conjunction. I still consider Seth as one of my personal “gurus”. 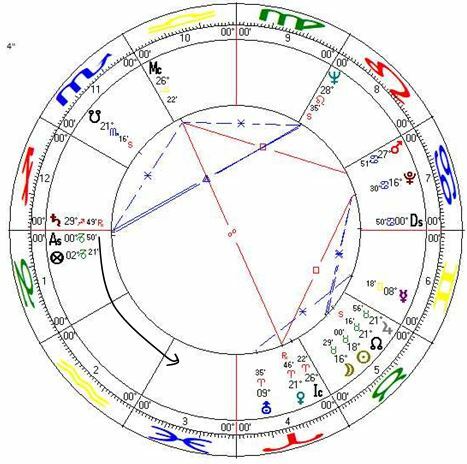 When I started the research for this article, I was fascinated by the relationship between the eclipse in Jane’s chart and the dispositor of her AC ruler Jupiter. Without planning, I’ve been writing this piece under the up-building major sun eclipse of 2017, which happens in exact opposition to the very degree of my natal Sun/Mercury conjunction. I finished the work on this article, when the eclipse was exact. The Seth Material, p. 16-17. In this book, Seth’s first appearance is decribed at length, as well as the reception of the “Idea Constructum”. Science recognizes that it explored only a 5% of the human brain capacities. “Unknown Reality” is the title of one of Seth’s most famous books. The tradition called this place house of the odded. In my previous article http://www.taniadaniels.com/olivier-messiaen-and-his-holocaust-music-a-study-of-third-house-matters/ I pointed out the relationship between this house and personal faith. L1 means the Lord of the 1st place. This abbreviation will be used througout the text. The 8th place confronts us with polarities, which are dissolved in the 12th place.